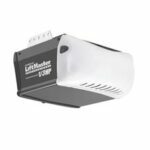 Garage Door Openers: Which system fits your needs? 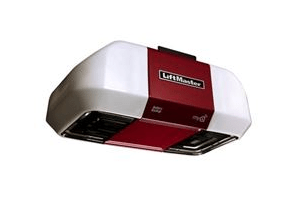 Home / Blog / Garage Door Openers: Which system fits your needs? 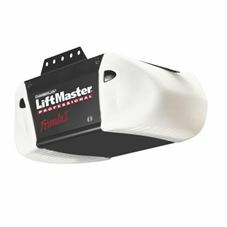 What garage door opener should I install? There are a few options to consider when selecting which kind of garage door opener to install in your home, and the professionals at Colorado Overhead Door Company are here to give you a few suggestions to help make your decision easier. Nowadays, there are three main options on the market: belt drives, screw drives, and chain drives. All have their own unique advantages, but the benefits depend on the kind of door it will be lifting. The width and height of the door, the construction material, and the insulation are all factors that you will want to take into consideration before you decide which option is the best fit for your garage door. Which type should I choose– belt drives, screw drives, or chain drives? Let’s run through each option and discuss which type of client it would best suit. Belt Drive: Belt Drive openers have grown in popularity in recent years due to the fact that it is the quietest option on the market. The belt provides the same function as a chain but allows for a smoother opening which results in less noise. 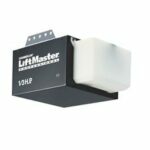 This alone makes it an ideal option for residential garages, and your neighbors will thank you for your selection. Chain Drive: An opening system run by the Chain Drive system can be set up to meet most of your lifting needs, but it is known to cause the most noise. A Chain Drive system will open any kind of garage, but this system is most commonly used to lift the heaviest of doors. This system tends to cost less than its counterparts, making it a common option for many consumers. Screw Drive: When you require an opener to lift one-piece tilting doors, the Screw Drive system is your best bet. While not as quiet as the Belt Drive, the screw proves to create less noise than a chain system. Given the fact that it has fewer parts means that your garage door maintenance is reduced. Most standard two car garages are powered with a 1/2-horsepower door opener, and we believe that anything smaller should only be used on single car garages when a light door is being used. There are more powerful models on the market, and a ¾-horsepower option should be used for heavier doors. If you are unsure as to which size opener you require, you can always go with the ‘less is more’ mentality, as there is not much difference in the price. However, feel free to contact one of the technicians at Colorado Overhead Door Company for advice and a free pricing quote.